Looking for Free Comic books? How about free access to over 15,000 Golden Age Comics, including some interesting pre-code horror comics from the Digital Comic Museum? Or if you want a great deal on something a little more recent, how about a trial subscription to Marvel Unlimited for only 99 cents for the first month? 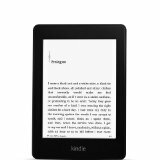 Today’s Kindle deal of the day is a Certified Refurbished Kindle Paperwhite (current generation) with special offers for only $85.00.